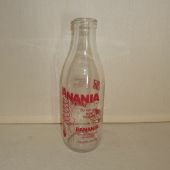 Milk bottle, with advertising for Banania mark. 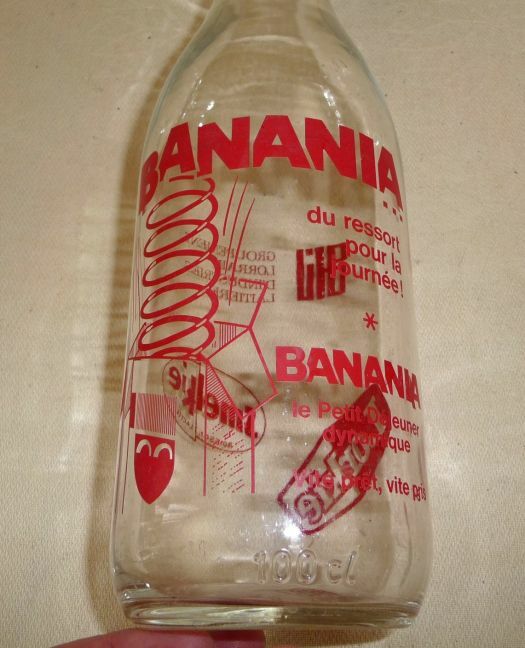 It has been much used, there are some scratches ; but it remains a nice and cheap piece for decoration. 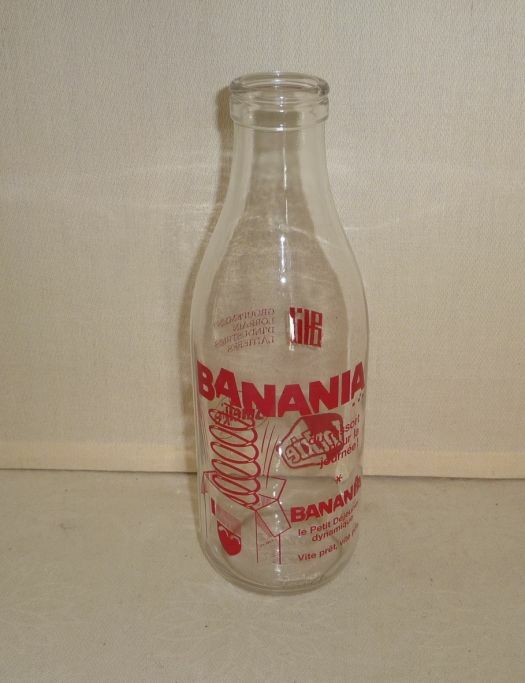 Height 26,6 cm ; it contains 1 liter.